We hire out GL300 GPRS trackers for events. These robust little units are approximately the size of a match box, weigh only 65 grams and are sent in a waterproof pouch. They send out their location to the maps at 120 second intervals. This interval can be increased if longer battery life is needed. See the table below for battery life vs message below. They are rechargeable units and are able to send out messages at the following interval. * battery life can be reduced by cloud cover, tree cover , being indoors and cold temperatures. The trackers are GPS units which means they use satellites to work out their position then they send this information to a LIVE MAP on the web using the mobile network. 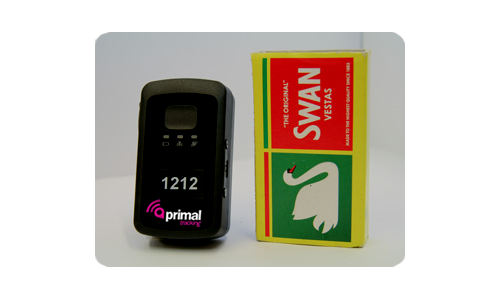 We use quad band sim cards for our GPS devices meaning that we are not restricted to the coverage of any one network provider. The units have a 3,000 point buffer, so if you are in a location with no GSM signal it will record the location and upload the track when back in range.